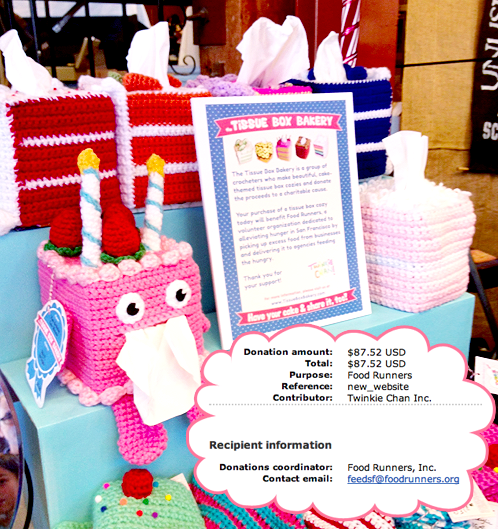 I’m excited to make our first donation to Food Runners! 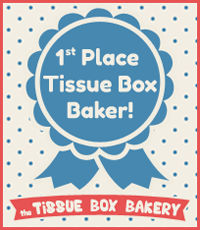 Thanks so much for those of you who already sent in your wonderful tissue cozies! We do have some left over, so I’m figuring out the best way to set up an online shop and get them posted ASAP. I hope you’ve all had a great holiday, and I wish everyone a happy new year!